How can patients get assistance under EPAP? 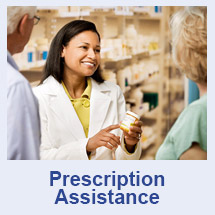 The Emergency Prescription Assistance Program (EPAP) was created by the US Dept of Health & Human Services to help people who don’t have health insurance continue to use certain prescription drugs, specific medical supplies, vaccines and certain medical equipment, including canes, walkers, wheelchairs and crutches. If you have health insurance, such as an individual health insurance policy or employer-sponsored coverage, public insurance, such as Medicare, Medicaid, or other third party coverage, you are not eligible to receive assistance under EPAP. Patients will receive an initial 30-day supply of most prescription drugs or specific medical supplies. Prescriptions may be renewed every 30 days for as long as EPAP is active. If you rely on medical supplies, you can get additional supplies every 30 days for as long as EPAP is active. Durable Medical Equipment (DME) is typically only provided once, but if it is lost or stolen after it has been issued, it may be replaced. Vaccines are typically a single course of treatment and do not need to be refilled. Confirm that EPAP has been activated in your area: Claims can only be processed during the time and at the location specified in the EPAP activation. To find out whether EPAP has been activated at this time in your area, check the list of current EPAP activations. As of November 2017, the assistance program has been activated for the US Virgin Islands and Puerto Rico. Please note that the areas are subject to change. Visit the US Department of Health & Human Services Emergency Prescription Assistance Program (EPAP) website for further information and instructions on how to apply for prescription aid following a hurricane. Be sure to keep updated disaster kits in your home, car and workplace – include fresh batteries, food and water, prescription medications and spare eyeglasses! What is an Emergency Kit – and Why Do I Need One? Copyright 2019 Sunset Survival & First Aid, Inc. | All Rights Reserved.